Were all dinosaurs the same? No, they were not. There were lumbering animals as big as buses. There were long-necked giants as tall as trees. There were massive predators that none could challenge. And darting around their feet were nimble chicken-sized dinosaurs. Some dinosaurs were numerous; others were rare. Some sere plated, frilled, or horned; others were merely weird looking. 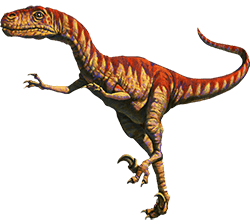 Chindesaurus, shown here, was a carnivorous dinosaur that lived during the late Triassic Period. All the different dinosaurs belonged to one of two types. Dinosaurs lived in every part of the glove. However, when they first appeared, the world’s land was a giant continent, known as Pangaea, which formed a C-shape around the Tethys Sea. 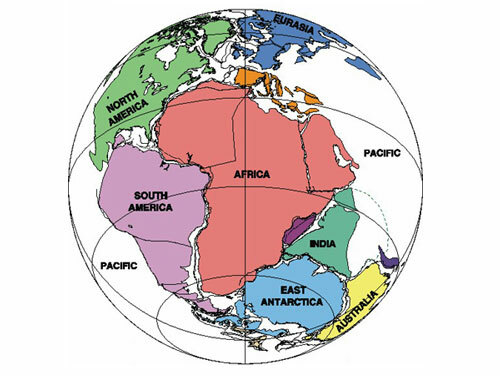 Later, the landmass broke up into smaller continents. Dinosaur fossils have been found as far south as Antarctica, which was not covered with snow at that time. Which was the most common dinosaur? Experts can only estimate the answer to this question based on the numbers of fossil finds. 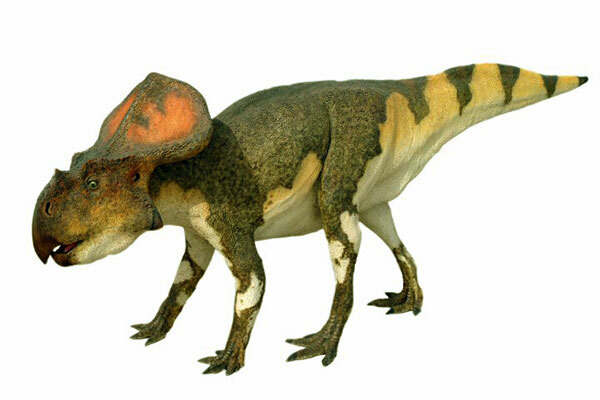 So many skulls of Protoceratops have been found in the Gobi desert that the dinosaur is sometimes called the “sheep of the Gobi”. In North America, the remains of entire herds of duck-billed or hardrosaur dinosaurs have been unearthed. Which was the weirdest dinosaur? During the 1940s, palaeontologists on fossil hunts in Mongolia made some unusual finds – giant claws almost 1 m (3.3ft) long, as well as parts of limbs. Sometime later a skeleton was pieced together. What it revealed was a dinosaur like no other: two-legged, 11m (36ft) tall, with 2.5m (8ft)-long arms ending in enormous claws, and probably covered with downy feathers. The weird find was named Therizinosaurus, meaning “scythe lizard”. What are the two main types of dinosaurs? The first dinosaurs evolved into two different types or orders, based on the shape of the hip bones. Ornithischians were bird-hipped and saurischians were lizard-hipped. The two orders gave rise to different families made up of genera. More than 540 different genera have been described so far. The hips of ornithischains were characterized by a pair of bones (the pubis and ischium) that lay alongside each other and pointed backwards. In saurischians, the pubis was larger and pointed downwards and slightly forwards, while the ischium extended backwards. 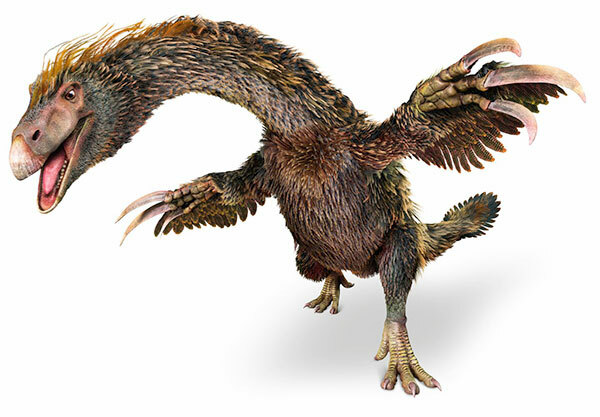 The bird-like Microraptor is one of the smallest dinosaurs yet discovered – it was just 77cm (30in) long. The remains were found in a lake bed in China in 2000. In 1993, the fox-sized Eocursor was discovered in South Africa. Dating from the Triassic Period, it is one of the earliest known ornithischian dinosaurs. The earliest dinosaurs looked like short-headed crocodiles, but some later ones looked more like birds. A typical dinosaur was about the same weight as a hippopotamus.